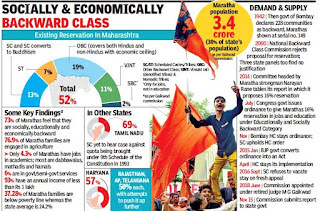 In the third attempt in the past five years to grant reservation to Marathas in government jobs and education, the Maharashtra legislative assembly and council unanimously passed a bill granting 16% quota to the community. This takes the total quantum of quotas in the state from 52% to 68%, making it the second highest in India after Tamil Nadu’s 69%. The Supreme Court had in 1992 capped total reservations in a state at 50%, and Tamil Nadu and Haryana—which has a 57% quota—are the only two states where quotas far in excess of the limit are being implemented at present. While a plea challenging TN’s quota is pending in SC, Haryana’s attempt to hike its quota further to 67% and Rajasthan’s bid to take it to 54% have been stayed. Proposals by Andhra Pradesh and Telangana to go beyond 50% have been rejected by the Centre, and Telangana’s move to take its 4% Muslim quota to 12%, taking the total to 62%, has been referred by SC to a constitutional bench. 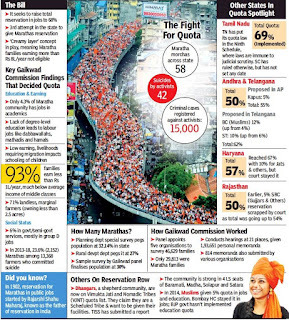 The Congress-NCP had in 2014 passed an ordinance giving 16% quota, which was struck down by the Bombay high court. In 2015 the BJP-led state government brought in a legislation for the quota and moved SC, which upheld HC’s stay order. Two years after 58 silent morchas by the community and a series of violent incidents across the state in July-August this year, Thursday’s bill was tabled by the Devendra Fadnavis-led government which recently accepted the state Backward Classes Commission’s recommendation to provide a quota for Marathas in the Socially and Educationally Backward Class category. Existing quotas for OBCs and others will thus not be touched. The bill, which will become law once the governor signs it likely by next week and the state issues a notification, proposes that 16% of the total appointments in direct recruitment in public services and posts will be reserved for Marathas. The quota will also be applicable to admission to educational institutions other than minority educational institutions. 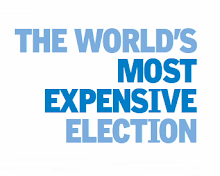 But it does not include seat reservation for polls to panchayats, panchayat samitis, zilla parishads, municipal councils, corporations, etc. The reservation can be availed by those below the ‘creamy layer’ in the community. For quotas, families with an annual income of Rs.8 lakh and above are defined as being in the ‘creamy layer’. 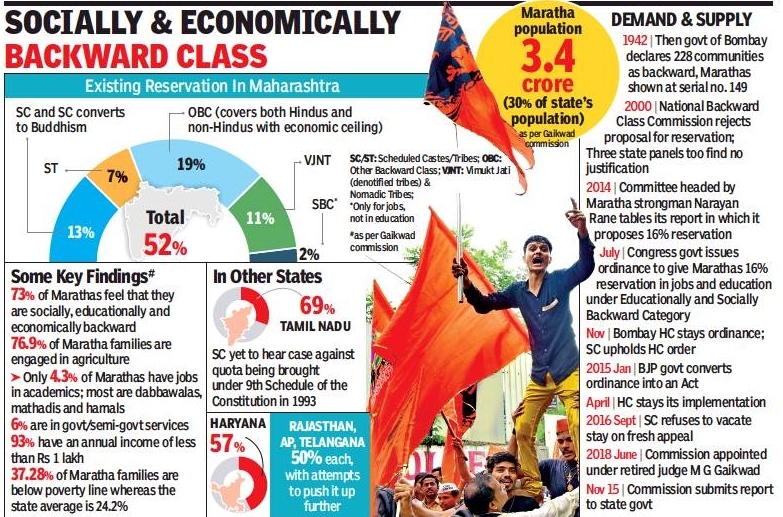 In its ‘statement of objects and reasons,’ the government stated it relaxed the quota percentage as “it would otherwise lead to unwarranted repercussions in the harmonious co-existence in the state if the backward class communities already included in the OBC list are asked to share their well-establish(ed) entitlement of reservation with a 30% Maratha citizenry.” Marathas have for long dominated the state’s politics. The Fadnavis government in June 2017 set up the MG Gaikwad Commission to decide on quota. It gave its report on November 15, saying Marathas were entitled to quota benefits enshrined in Articles 15(4) and 16(4) of the Constitution (which deal with discrimination and equality of opportunity). After the CM introduced the bill, opposition leader Radhakrishna Vikhe-Patil said Congress supported it and no discussion was required. 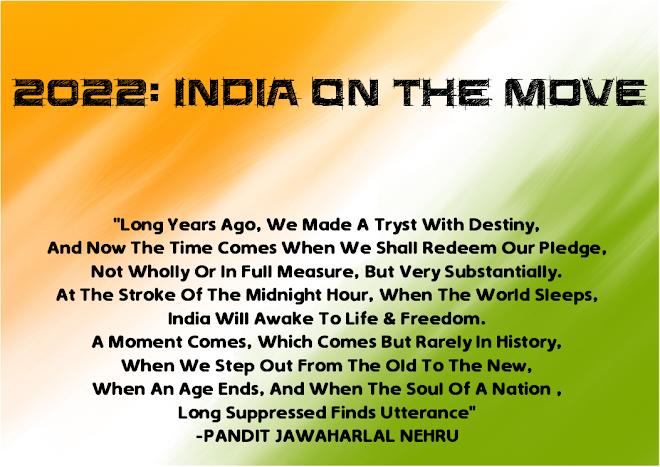 He was followed by NCP’s Ajit Pawar and PWP’s Ganpatrao Deshmukh. While Fadnavis described passage of the bill—called the Maharashtra State Reservation (of seats for admission in educational institutions in the State for appointments in public services and posts under the State) for Socially and Educationally Backward Classes Bill, 2018—as a “historic moment”, ex-CM Prithviraj Chavan hoped the CM “could defend it in court”.